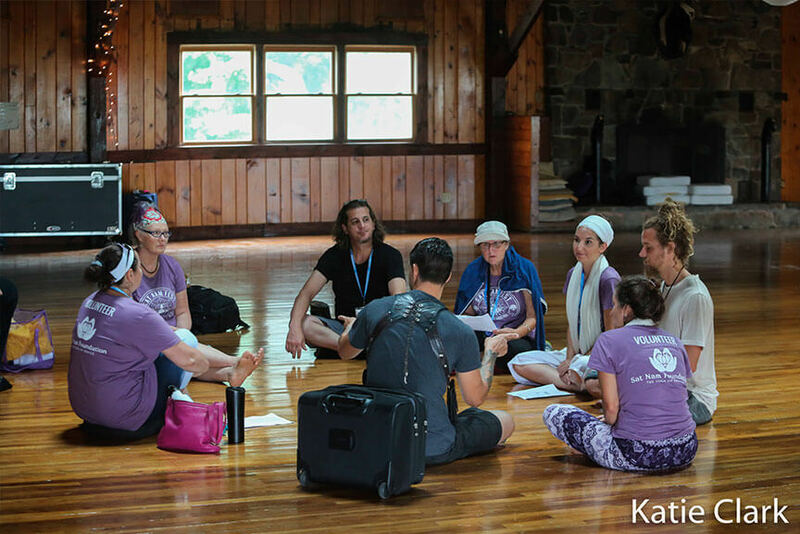 Sat Nam Foundation is a non-profit with the mission to empower Kundalini yogis through service. Sat Nam Fest donates 10% of proceeds to Sat Nam Foundation, and in return, the foundation provides volunteers to help run the festival. 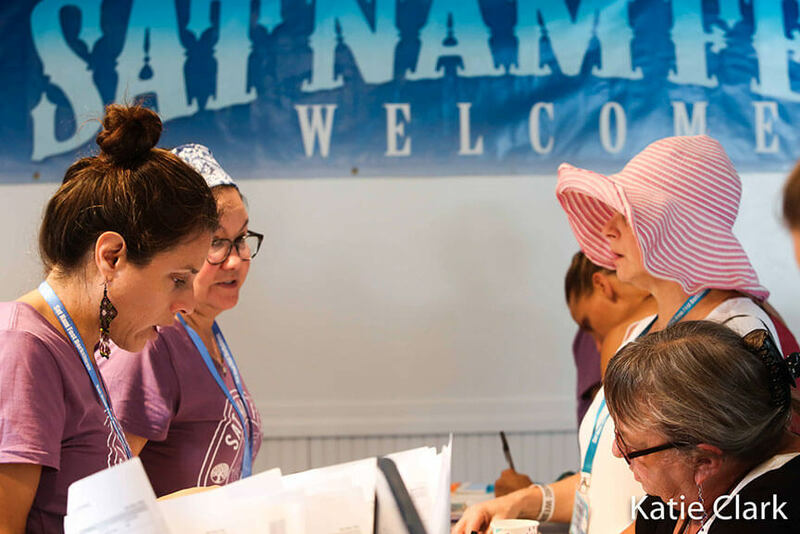 As a Sat Nam Foundation Volunteer, Sat Nam Fest allows us to offer discounted festival passes ($275), which includes meals and a bed in the Gilmore Rustic dorms (bedding can be purchased for an additional $20, or you can bring your own bedding). 18-24 hours of volunteer time over the course of the festival serving on a particular team. Volunteer positions are available for a variety of teams. Each one is responsible for a different area of the festival and each one is a key part to helping Sat Nam Fest run smoothly. Your efforts on the Volunteer team are greatly appreciated and we look forward to working with you soon! Outside of the work commitment hours, you are free to enjoy the festival! You are welcome to purchase other housing types separately if you would like to (at regular accommodation prices). Please expect Sat Nam Foundation to respond within 1-2 weeks of your application submission. Once you have our offer you will have 2 weeks to respond and purchase your ticket. If you do not respond and purchase your ticket within 2 weeks you will need to resubmit your application. Step 3: Bring yourself, your smile and your positive, hardworking attitude to Sat Nam Fest! JOIN THE VOLUNTEER TEAM TODAY! Do you enjoy working with people and spreadsheets? Our registration and housing team is responsible for checking in guests when they arrive on site and organizing our housing for guest check-in. A friendly and welcoming demeanor is very important! Familiarity with computers is a must. Be prepared to serve each day of the festival on an AM or PM shift, working a few extra hours at the start of the festival when registration is busiest. The Welcome & Parking Team is responsible for the physical safety and well-being of festival participants and the camp. The primary duty of the Welcome & Parking Team is to staff the camp entrance and monitor the flow of traffic, both pedestrian and vehicular, throughout the camp.Welcome & Parking Team members will also patrol the entire camp–specifically the bazaar, the dining area and the main yoga & music space to check that all participants have registered and are wearing wrist bands. This team’s priority is to be friendly and welcoming while also giving direction and ensuring that all participants are registered attendees. One must be self-motivated to serve as part of the Welcome & Parking Team! The Sound Crew is a dynamic team of hard-working people who help create the beautiful, quality sound Sat Nam Fest is known for. This position requires previous experience working with sound equipment. Team members report to the Head Audio Engineer and Stage Manager and assist in jobs assigned. They ensure smooth set-up and breakdown for artists’ sets, including sound checks, troubleshooting microphones, DIs, cables, amplifiers and other gear on stage during musical acts and keeping track of all equipment from set to set. Requires strong technical knowledge of sound gear, equipment and live audio for events. 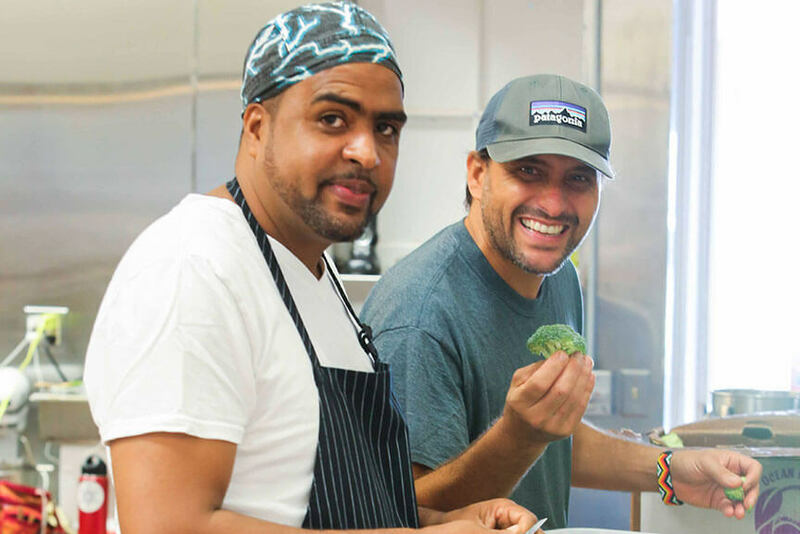 The Kitchen Crew will help to lovingly support our cooks as they prepare the delicious and nourishing food Sat Nam Fest is known for! You may be asked to help chop vegetables, prepare food and juices, wash dishes, serve at the buffet, guide guests into lines to get food. Whatever comes up in the kitchen and dining room, you’ll help with. A flexible, helpful and collaborative demeanor a must! Previous food service experience a PLUS! Be prepared for hard work and being on your feet for much of your service. The Green Room team creates a sacred space to greet teachers and artists before classes, workshops and concerts. We are looking for creative and kind individuals who can create a beautiful and comfortable space for teachers and musicians, keep the space clean, help with instruments and maintain a peaceful and positive environment. The medical team is an integral part of Sat Nam Fest and works with everything from cuts and scrapes to dehydration and triage. To work on the medical team you need to be a CA licensed EMT, RN or DR.
Are you good with technology, do you have videography skills? Then you might be perfect for our video team! Work with a group of upbeat and fun professionals to film classes and concerts at Sat Nam Fest. We also need people to help with data transfer. Come early to the festival and stay late. 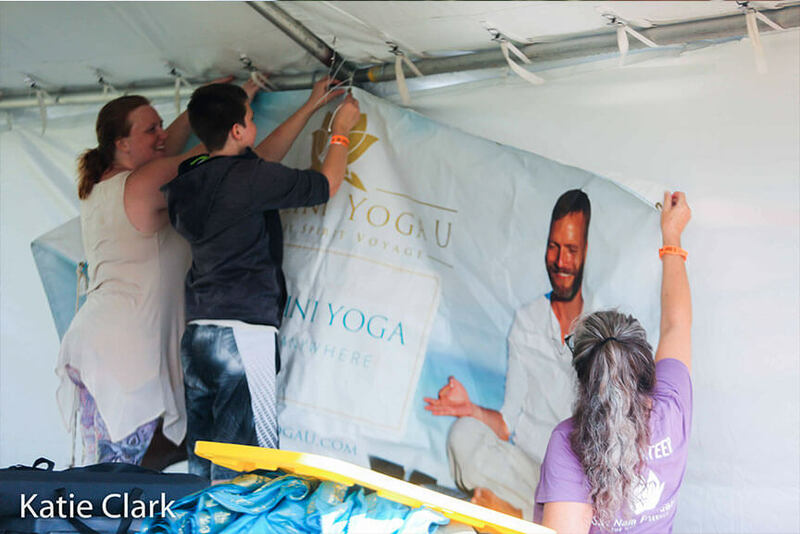 Labor intensive job – help decorate the stage, set up yoga space, put up signs, set up Spirit Voyage store, set up tents, etc. Carpentry and sewing experience appreciated! Hard work! This team will be small and fill up fast! The grounds team will help with daily operations throughout Sat Nam Fest. We are the nuts and the bolts of the festival. We take care of water, fixing tent issues, and helping wherever our hands are needed. You may be asked to help in the main yoga hall, assist teachers and musicians, and/or run errands. This is an integral role in helping our festival run as smoothly as possible. A flexible and helpful demeanor a must! 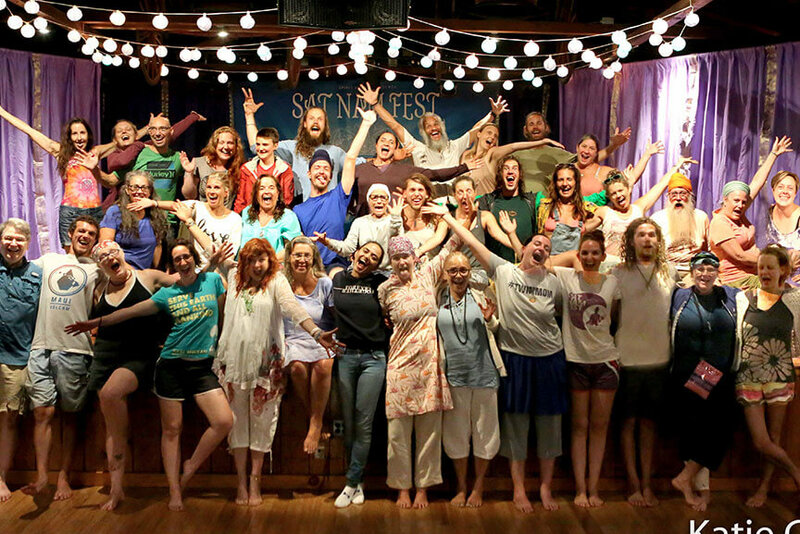 Spirit Voyage and Kundalini Yoga U keep Sat Nam Fest going through the year. Help in to set up the store and help customers pick out new music and books, learn about the online courses offered through KYU and more. Previous retail or sales experience preferred! The Social Media team captures the spirit of Sat Nam Fest by providing quality images, videos, and content to Spirit Voyage for its use in promotional/marketing efforts, products, etc. In accepting this position, you agree that all photographs and film footage taken during the festival are the property of Spirit Voyage with permission for use at its discretion in perpetuity. Professional photography or videography experience required. Photographers should be prepared to send a link to your portfolio online to be considered for the team. 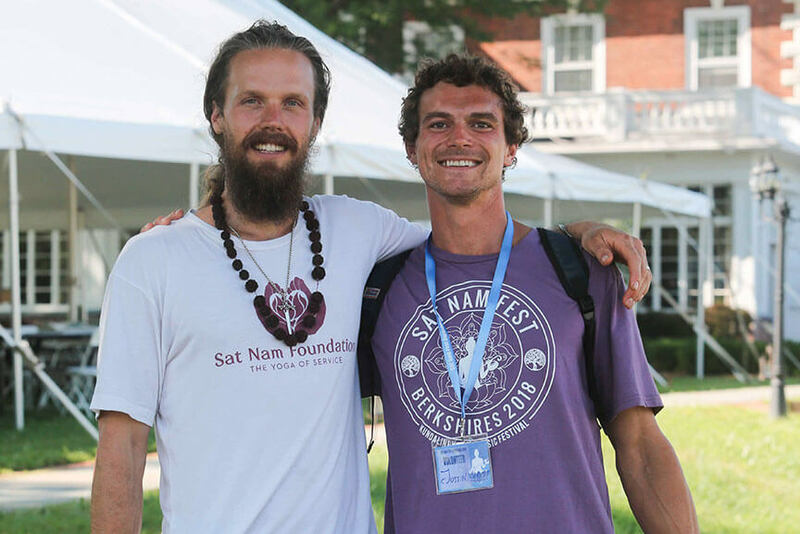 Sat Nam Fest needs a group of strong people to greet the participants, offer help to musicians, keep the space clean, and be aware of the overall energy flow. 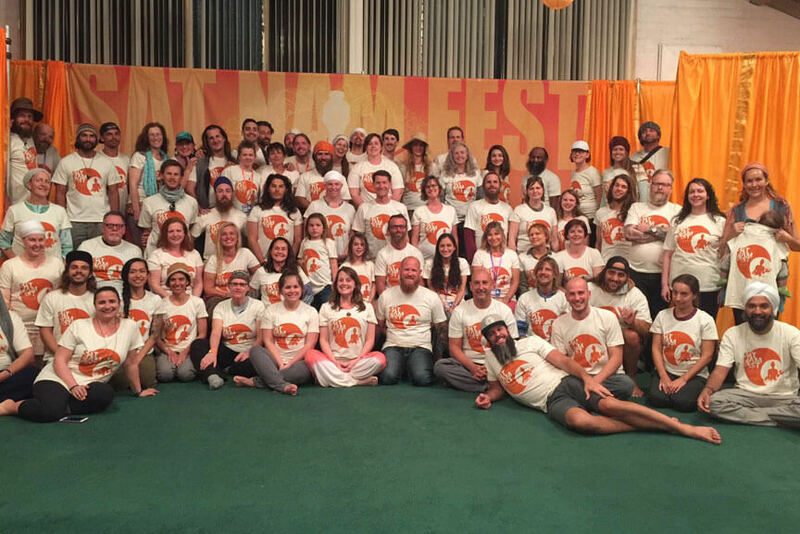 Sat Nam Fest needs a group of strong people to work with our children and teens. You will be working with the director of the camps to provide a fun, safe and uplifting program for the children and teens at Sat Nam Fest!